Dr. Zheng Wexin was born in China and attended medical school and received his training in obstetrical and gynecologic in Shanghai Medical University. Dr. Zheng came to United States in 1986 and then received his trainings in reproductive sciences research at Columbia University College of Physicians and Surgeons, pathology residency at Connell University – New York Hospital, and gynecologic pathology fellowship at Brown University – Women and Infants’ Hospital and is currently Director of Gynecologic and Molecular Pathology at University of Arizona in Tucson. 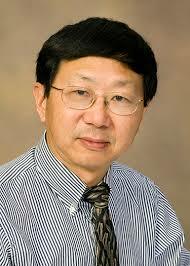 Dr. Zheng has been a tenured Professor of Pathology and Obstetrics and Gynecology in University of Arizona College of Medicine since 2005. In the early 1990’s, Dr. Zheng started to be interested in the most aggressive endometrial cancer – the uterine papillary serous carcinoma, which is now he calls as endometrial serous carcinoma (ESC), then devoted nearly 20 years to defining the precancers of ESC and its carcinogenesis. His authority in endometrial serous carcinogenesis and pathology diagnosis of its precancers are well recognized. In the late 1990’s, Dr. Zheng started to work on the hormonal etiology of sporadic ovarian epithelial cancer and provided direct evidence of gonadotropin FSH links to fallopian tube mucosa and ovarian epithelial cells. This project expanded to the study of serous carcinogenesis in the fallopian tube. Dr. Zheng and his colleagues recently proposed that low-grade serous carcinomas of the ovary originated in the tubal epithelial cells through a secretory cell expansion process. Together with the findings of high-grade serous carcinomas of the ovary mainly derive from fallopian tube, the majority of pelvic serous carcinomas are now considered as tubal origin. Dr. Zheng directs a full-service of gynecologic pathology at University of Arizona and serves as an expert consultant for the entire state of Arizona, China, and many places in the world. He has published over 120 articles. Dr. Zheng Wexin research interest is in Gynecologic cancers, Ovarian serous carcinogenesis, Endometrial carcinogenesis and Precancers in gynecologic genital tract.